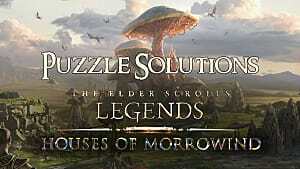 If you still hunger for the fantasy world of the Dovahkiin and his infinite cheese wheels of health, but are just a little full up on questing in Skyrim, never fear - Elder Scrolls: Legends is here with a tactical CCG slant on the mortal plane we've come to know and love from the Elder Scrolls series. While the game is still in open Beta and the meta is being defined and refined nearly weekly, there are a few standout decks currently available that have been consistently topping the ladder. Newer players and those just getting serious about the strategic CCG alike would do well to learn these solid performers - what they do, what cards they need...and how to beat them. Adept at flooding the board quickly and consistently, Token Spellsword seeks to establish an early game advantage on the back of its cheap token production (such as Scouting Patrol and Deathless Draugr), and powerful 3-drops in Pit Lion and Slaughterfish Spawning, make it through the mid-game with removal like Edict of Azura or Piercing Javelin, then finish out with a haymaker General Tullius, Golden Saint, Bone Colossus, or "antheming" their accumulated tokens with Divine Fervor. Die-hard TCG/CCG players will probably recognize this deck's strategy - it exists in most card games in some form or another, and it preys mostly upon "fair" decks, or decks that typically play creatures and removal, and slowly establish a winning position by using their cards to deal with yours. Since many of Token Spellsword's cards "trade up", or require more or better cards in order to fully handle, they tend to grind out their fair opponents. One of the most prominent decks currently on the Elder Scrolls: Legends ladder, and one of the most straightforward strategies in the game, Token Spellsword is a potent deck for competitive players, but also for beginners - most of the hard decisions are going to be your opponent's to make. Of course, this traditional strategy also has traditional weaknesses - usually decks that ignore it rather than trying to interact, like "ramp" or "combo" strategies, or decks that can easily trade "one for one" with Token's cards. 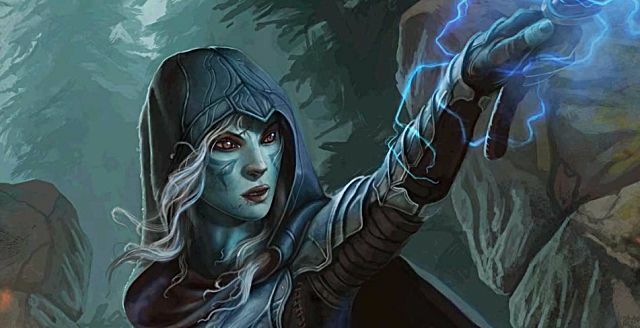 The current dedicated "control" deck of Elder Scrolls: Legends, Control Mage seeks to prolong the game with cheap, efficient removal in Firebolt, Crushing Blow, and Lightning Bolt. Once turn six or so comes around, Ice Storm clears most (if not all) of the enemy's board, allowing you to survive until your next "wrath" or "sweeper" in Dawn's Wrath. 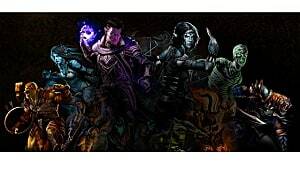 From there your Mantikoras, Miraak, and Odaviing take over the game by providing much more power than anything your aggro or mid-range opponents can muster. The latest version of the deck (piloted by multiple players to Rank #1 on the ladder in September) also manages to run a bit of a "combo"ish subtheme with Brilliant Experiment and Ayrenn - if Brilliant Experiment is the only Action you've used in a game (not totally unlikely in a control mirror), you can flood the board with 5/5's by casting Ayrenn, then using Brilliant Experiment to copy it. Play the second Ayrenn, she'll return a (now free) Brilliant Experiment, which copies her....you can see where this is headed. Unless they manage to break the loop (clearing all Ayrenns on board and the one we wisely kept in our hand), or we play another action that Ayrenn might accidentally return instead of Brilliant Experiment, the rest of the game is simply making as many 5/5s as we can afford. On the off chance that they do deal with that, they still have the rest of our deck to contend with. With the ability to trade one card for many of your opponents' cards, and many of your cards drawing you extra things to do (whether they're more creatures or more spells), Control Mage decks (and control decks in general) are centered around generating card advantage - that is, if I keep trading one of my cards for two of yours, eventually you're going to have none, and I'm going to have approximately "all of them forever". It's relatively elementary to win from there. 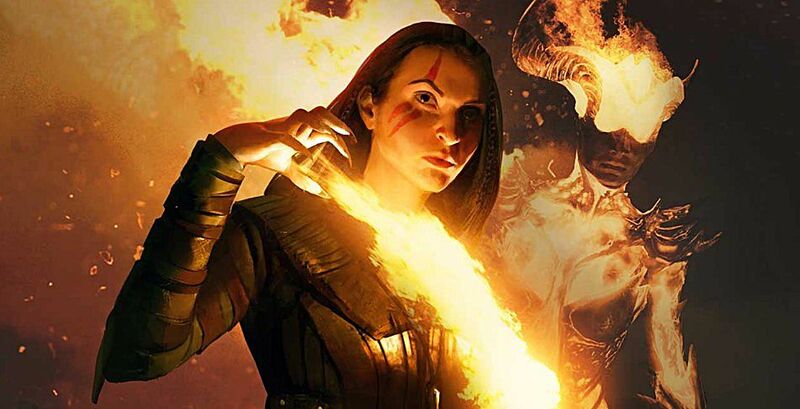 Of course, there's more than one way to win a matchup - and while Control Mage can certainly put the brakes on many of the top decks around, Elder Scrolls: Legends' resident Mid-range deck puts on a fair battle itself. Wherever there are creatures, there are bigger creatures. Wherever there's removal, there's creatures that don't die well. 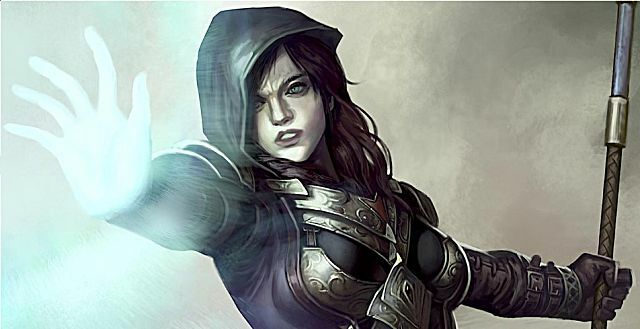 With various aggro decks (like multiple "zoo" lists) at the fast end of the spectrum, and Control Mage at the slow but powerful other, plenty of players have tried (and succeeded) at navigating that middle ground of Mid-range. While you're rarely hugely favored in any given matchup, there's also typically very few you're just dead to. Other card games tend to call these types of lists "grinders", or "51% decks", but they all amount to the same thing - you're always going to have to play well, but you (usually) always have a shot. 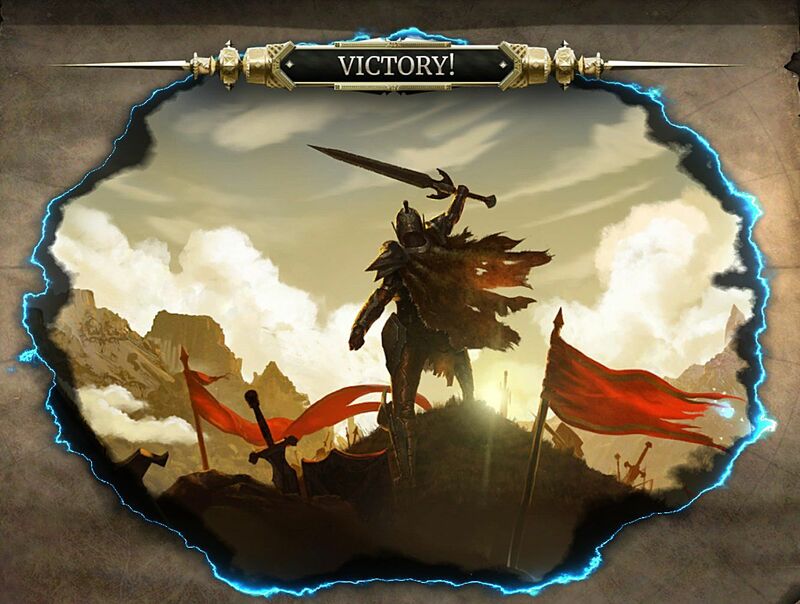 For aspiring competitive Elder Scrolls: Legends players, that's a solid game plan once you've got a firm grasp on the mechanics of the game. 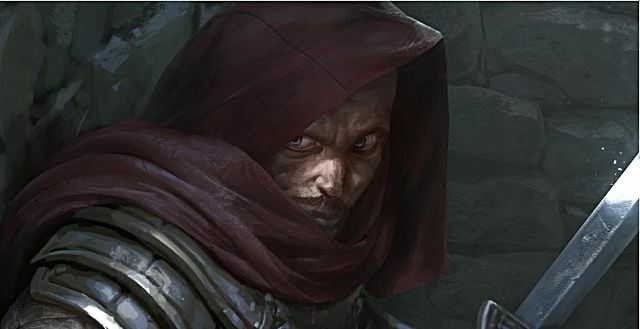 Generally, you want to establish which side of the spectrum of "aggro control" your opponent is on, and do your best to imitate the other while grinding every bit of value out of each of your cards. "Who's the beatdown" isn't just a fantastic TCG/CCG player's article that's still relevant over 15 years after writing - it's also the primary question you're going to have to ask (and answer correctly) each and every game with Mid-range Sorcerer. Luckily, your cards and synergies can often be powerful enough to enact an alternate plan to this complex thought process. While extremely subtle in nature and hard to completely comprehend, "Punch them in the face" is a fairly good approximation. 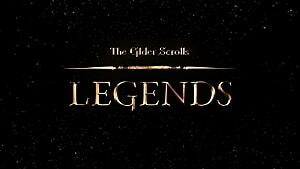 If all else fails, and you can't seem to find your way out of whatever hole you've managed to dig yourself in with Mid-Range Sorcerer, well....your cards are very powerful, and have incredibly strong synergies (specifically Breton Conjurer with all your Wards), so stop messing around and Punch Them In The Face. 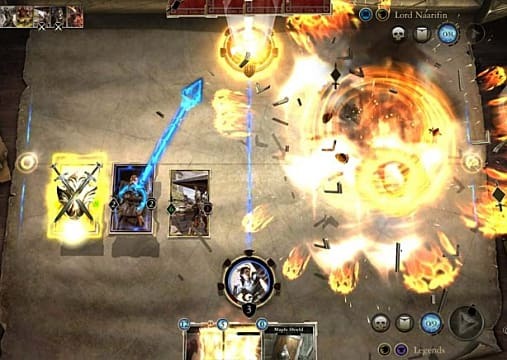 Outside of that plan, however, usually you want to survive by any means necessary against aggressive, fast decks, and grind out every Frost Atronach, Shornhelm Champion trigger, Mundus Stone proc, or Daggerfall Mage and Haunting Spirit value you can against control. They have to run out of cards sometime, and hopefully you can claim the victory before they can recover. Some decks try to get ahead in life, and push their advantage before the late game arrives. Some decks just try to make it to the late game where their powerful win conditions come online. Some decks never really want the late game, thriving in the space between early and late. Then there's the "ramp" deck - the one that channels a lot of its energy not into making it to the late game, but into grabbing the late-game by the horns and dragging it to them turns ahead of schedule. 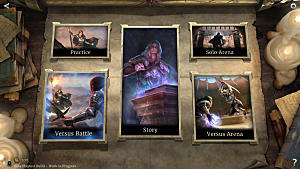 In Elder Scrolls: Legends, the ramp deck is Scout - and along with the other three decks on this list, it is certainly one of the most powerful decks in the game. By always being a step, or two, or four ahead of your opponent in terms of the overall power of your threats, you make up for the cards in your deck that don't do much (i.e. the ramp cards) by playing above average level creatures far earlier than you're supposed to. Coupled with the fact that much of the removal in the game is damage based (and therefore trades poorly with your gigantic monsters) Ramp Scout can attain a massive lead early, then keep ahead by playing haymaker after haymaker. Many decks would have trouble handling the massive board swing of a Blood Magic Lord at all - much less several turns ahead of schedule. Granted, hyper-aggro decks do have the capacity to take you out of the game before you can leverage your cards' superiority, and any deck capable of "one for one" trading with your large monstrosities is in a fairly solid position, but they still have to have it - and if (and when) they don't, Scout doesn't waste any time before burying them in game-winning threats. If the thought of terrorizing the countryside (and your opponents) with massive, powerful creatures appeals to you - or if you like winning - Ramp Scout is a competitive deck capable of stealing games left and right on raw power alone. One thing to note, though - while all of these decks will cost a bit of grinding and card making to achieve, this deck is called Ramp $cout for a reason. 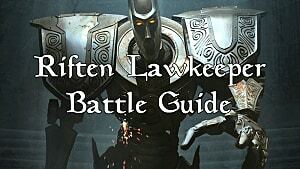 With these four decks and their general strategies under your belt, you have something much better than a sword to fend off foes on your way up the ladder - information. 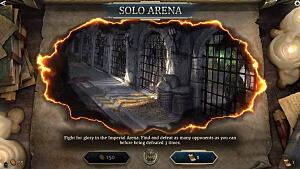 Knowing how to play powerful strategies is just as important as knowing how to play against them, and having strong starting points in your exploration of the game can save you valuable time (and gold) while you get situated in the new tactical landscape. Of course, like all card games - once you have the basics under your belt, explore! 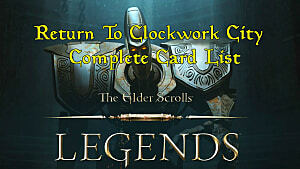 Try new combinations, brew you own lists. Find what works for you, the types of strategies you enjoy, and the tricks and lists you have come to find success with, then come back and tell us about it! The game is always changing, and I'd love to hear what strategies have brought you to the top of the ranks. 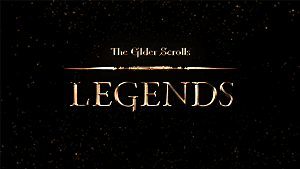 Until then, feel free to reap the rewards of all my digging through the scrolls, and enjoy watching your rank rise with the best decks in Elder Scrolls: Legends.